Jenny Fran Davis ’17 recently published her first novel, Everything Must Go, with St. Martin’s Press. 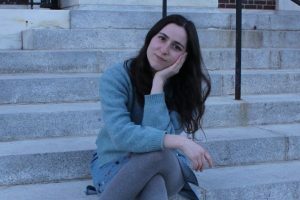 Since graduating just last May, Jenny Fran Davis ’17 has become a published author with the fall release of her debut novel, Everything Must Go. The story revolves around Flora Goldwasser, a teenager from New York City who has just transferred to a rural, Quaker boarding school in her junior year. Through a collection of journal entries, e-mails and other archived materials, Flora pieces together her experience and lets readers into her tumultuous period of adjustment. Davis wrote the book in her freshman year of college and spent the next few years editing, before landing a contract for two novels with St. Martin’s Press in 2016. In this Q&A, Davis discusses how it feels to be a published author, in what ways her time at Wesleyan has impacted her writing and what readers can expect from her next book. 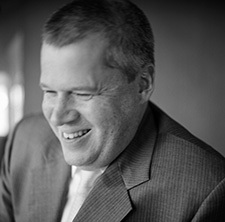 Author Daniel Handler ’92 enjoys a prolific career as a celebrated novelist, best known for using the pseudonym Lemony Snicket to publish A Series of Unfortunate Events. This 13-book series about three orphaned children and their increasingly tumultuous lives—which has been adapted for film, video games and, most recently, a Netflix series—established Handler as an appealingly sinister storyteller, a writer with a penchant for narratives without happy endings. The first episode of Articulate on PBS delves into some of Handler’s inspirations and how he came to develop his dark approach to children’s writing. In the clip, titled “The Very Fortunate Daniel Handler,” he points out that one goal of his writing is to create worlds more exciting than the one we are offered. But while his stories teeter on the absurd and fantastical, they largely operate by exploring the tragic realities of the world we already inhabit—the kind of grim truths that children are already catching onto and, Handler argues, deserve to have addressed. As a young kid, with a father who had escaped Nazi Germany and a family that discussed war as a standard topic of conversation, it was made clear that the human experience could be dark and disastrous. A reflection of his upbringing, Handler refuses to sugarcoat misfortune or grief for his readers, regardless of their age. 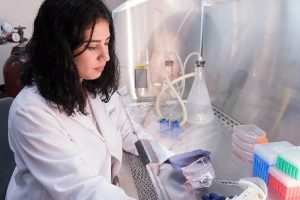 As a woman of color in STEM, Najwa Anasse ’18 represents a minority in a field known for its lack of gender and racial diversity. Recognizing that the low interest among women and youth of color is largely the result of barriers to access, an increasing number of organizations and programs have been created to direct underrepresented youth towards science, technology, engineering and math fields. 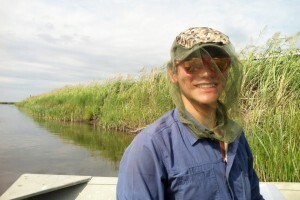 Anasse, who is double majoring in Neuroscience & Behavior and Biology, credits one such program, the University of California San Francisco’s Science Camp, for sparking her interest in STEM and inspiring her continued commitment to the sciences. Jay A. Levy ’60, UCSF Professor of Medicine, has been serving as the camp’s faculty advisor since its inception in 2007, when a pharmacy student in his lab founded the program. 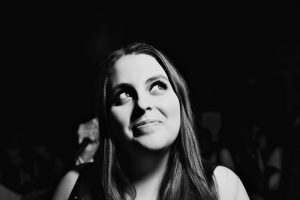 Actress Beanie Feldstein ’15 has made her Broadway debut as Minnie Fay in the sold-out, Tony-winning revival of Hello, Dolly! this past April. The role has her playing a fresh-faced shopgirl in this comedic musical theater hit about a meddlesome matchmaker named Dolly Gallagher Levi. Starring alongside the iconic Bette Middler and Broadway veteran Kate Baldwin, Feldstein is living out her childhood dream night after night in Broadway’s Shubert Theatre—and certain magazine outlets, such as Vogue, are asking whether we are seeing the next Middler in Feldstein. With two fellowships, Mika Reyes ’17 joined the tech-savvy world of Silicon Valley and encourages other Wesleyan humanities majors to follow her path. 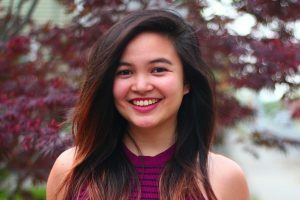 Mika Reyes ’17 has stayed busy since graduating just last May, as both a summer fellow with the Horizons School of Technology and a year-long Product fellow with the Kleiner Perkins Caufield & Byers (KPCB) fellowship program. These prestigious programs have helped Reyes jump-start a career in tech. 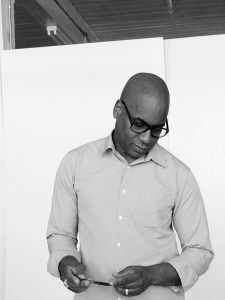 The Horizons Fellowship immerses university students looking to become leaders in technology in a rigorous summer program that teaches them how to build web and mobile applications and connects them with mentors in the field: startup founders, technology executives, and engineering leaders. Horizons requires no prior programming knowledge and chooses a few members of every cohort for the Horizons Fellowship, which covers the cost of tuition and housing in San Francisco. 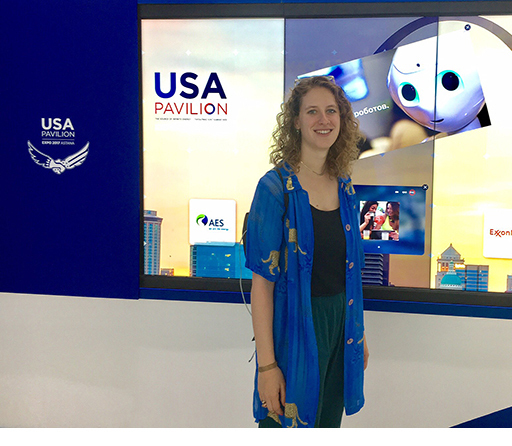 Molly Jane Zuckerman ’16 is one of only 40 student ambassadors representing the United States at the World Expo 2017 in Astana, Kazakhstan, which brings together key leaders from the global business community, high-ranking government officials, and cultural representatives in the first world fair to take place in Central Asia. 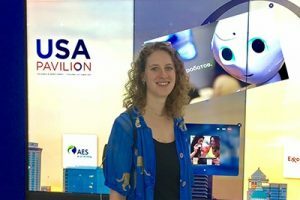 The theme of this year’s international exposition is “Future Energy,” and the United States is one of more than 100 countries and international organizations to participate. As an intern for the USA Pavilion, Zuckerman conducts tours of the exhibit for both Kazakh and international visitors. “The theme of our pavilion is human energy, and how we—humanity—are actually the source of infinite energy,” says Zuckerman. 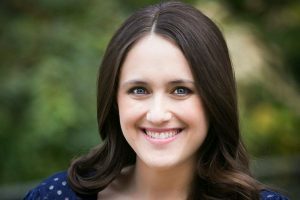 Clinical psychologist and YA novelist Becky Albertalli ’05 is the author of Simon vs. the Homo Sapiens Agenda, an award winning coming-of-age story published by Harper Collins in 2015. It follows Simon Spier, a junior in high school struggling to come to terms with his sexual identity without coming out, before a leaked email threatens to compromise his secret and his comfort zone. This past October, Fox 2000 Pictures and Temple Hill Entertainment began developing a movie adaptation of the book. The major motion picture will feature a star-studded cast––including Nick Robinson, Katherine Langford and Jennifer Garner––and is set to be released in March 2018. Directed by Greg Berlanti, the comedy-drama film of the same name as Albertalli’s debut novel is currently in post-production. Fans of the popular book and members of the cast, like Alexandra Shipp, Logan Miller and Josh Duhamel, are excited to see an underrepresented, LGBTQA-centered story told on the big screen. Noah Hamlish ’16 is one of five delegates representing the U.S. in this year’s Youth Ag-Summit in Brussels. Organized by Crop Science, the summit is a weeklong event that connects youth leaders from 49 countries to brainstorm ideas for agricultural sustainability and tackle global food security issues. He is a graduate of Wesleyan University and has a bachelor’s degree in biochemistry and molecular biology. Composer and musician Simon Riker ’14 showcased the original musical comedy Me Prometheus: Caveman Love Story at this year’s NY Summerfest Theatre Festival over the weekend. 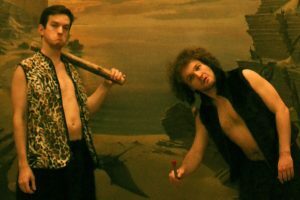 Conceived by Riker in 2010 and written in collaboration with friend Emerson Sieverts, the absurd full-length show about the prehistoric discovery of fire was produced first at Wesleyan and again at William and Mary. This summer, Me Prometheus appeared in its third live iteration with four sold-out shows on the New York Theatre Festival stage. Welcoming America is a non-profit organization that helps communities across the United States become inclusive to immigrants and refugees. 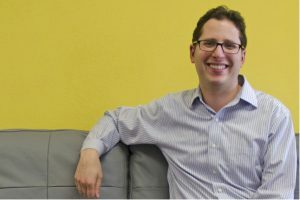 Created in 2009, the organization has developed an award-winning social entrepreneurship model, using a local approach to ease tensions and build understanding between new and long-time residents. As rapid demographic shifts are changing communities, Lubell’s nationwide network helps newcomers of various backgrounds to fully participate alongside their neighbors – socially, civically and economically. 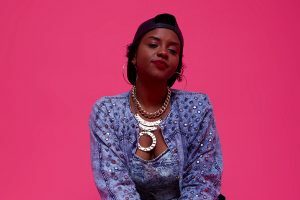 Brooklyn rapper Latasha Alcindor ’10, also informally known as LA, is following up the release of her debut album B(LA)K. with her newest project, Teen Nite at Empire. The project is named for the Empire Rolling Skating Center, a former nightlife venue in Brooklyn’s Crown Heights neighborhood, which closed its doors in 2007 due to increasing gentrification in the area. As described on her Bandcamp––where audiences can listen to and purchase the album––it is dedicated to “the around the way ones, 2 for $5 bootlegs and realizing freedom.” Having grown up frequenting and coming of age at Empire’s regularly hosted Teen Night, Alcindor uses music as a platform to remember and resurrect the culture that has been pushed out. Renowned conceptual artist Glenn Ligon ’82 recently curated an exhibition titled Blue Black for the Pulitzer Arts Foundation in St. Louis, Missouri. The group show, which had its opening day on June 9, was inspired by the Pulitzer’s permanent installation of Blue Black, a wall sculpture by Ellsworth Kelly. In Ligon’s take on the variety of meanings and uses of these two colors, he explores the combination as a means to raise nuanced questions about race, history, identity and memory. Choosing works that respond to the theme of the blues in open-ended ways, he draws numerous points of connection among a diverse selection of more than 40 pieces, ranging from Abstract Expressionism and portraiture to African and American folk art.